We’re not a shopping blog, but once in a while we hear a tip worth passing along. 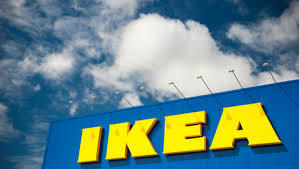 Did you know Ikea Orlando offers In-Store Picking? This is the perfect service for those of us (me) who get a tiny (read: a lot!) of anxiety at the very thought of winding through the retail maze at Ikea. For $40 you make your list with an Ikea employee, pay for your items and the service, and then the employee does all the shopping for you! No more fighting the crowds, no more trying to figure out if you got both boxes for your new Hemnes bed, it’s all done for you while you wait. And, if you’re smart, you’ll use that waiting time to get one of those $1 ice cream cones they sell. Would you take advantage of this service? I might pass if I was just going in for something small, but I can see the value on those days when you’re planning to re-do an entire room.